He was accidently killed on 1/7/16 when he fell from a troop train travelling from Marseilles to the Western Front. He is buried in the Anvers Sur Oise Communal Cemetery France. He was in the Senior Cadets at Leongatha. He was riding on the footboard outside the train. Cosson Pte. 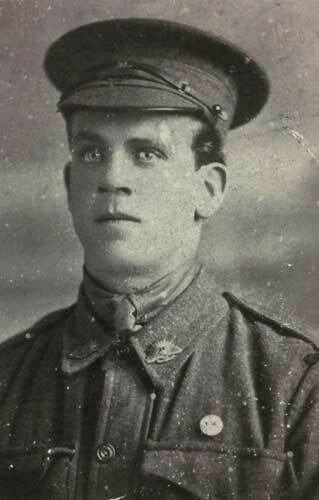 Harry 5363 59th Battalion Australian Infantry. Died of accidental injuries July 1st 1916. aged 18, son of Henry and Mary Ann Cosson of Henry St Korumburra Victoria, Australia. He was a native of Gippsland. He is buried near the north east (far left) corner of the cemetery.